You might say that the country of Holland has a visual bias. Not only has this tiny nation produced more than its share of great painters—Bosch, Bruegel, Rembrandt, Vermeer, Van Gogh, to name just a few—they’ve often been painters of a style we might call today cinematic. Composers? Look to Germany or Austria. But that Dutch visual bias may well work to the great advantage of a film composer like Matthijs Kieboom. Born in 1985 in the city of Dordrecht, Matthijs discovered his affinity for music at an early age. Like many of his generation, he began with a classical instrument (cello), but switched to something more contemporary (bass guitar) as soon as he had the choice. As his passion for music intensified, Matthijs enrolled in a special high school that offered pre-conservatory training for musicians. At 18, having broadened his musical horizons, he set aside his ambitions as a bass player and focused on composition. It was the marriage of the visual and the aural—of cinema and music—that opened a new world to him. Holland in the early 2000’s was not a nexus of global cinema. There were filmmakers like Paul Verhoeven and Jan de Bont who had established international reputations, but there were scant opportunities for a young film composer to rub shoulders with movie business movers and shakers. Nor were there first-rate film music programs offered by the conservatories and universities. Paradoxically, this very adversity proved to be the key to Matthijs’s discovery of his voice, for he had no choice but to dive head first into a study of the great film composers themselves—and always with that Dutch eye for the visual. In 2009, Matthijs began his collaboration with Dutch TV composer Martijn Schimmer. Till 2016 they joined forces in a music production company called Scripted Music. 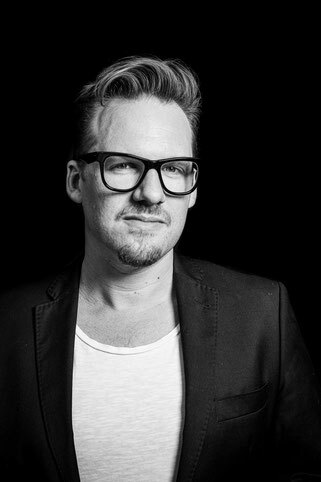 In 2010, after cutting his teeth on four series projects for Dutch television, Matthijs scored his first feature film together with Martijn Schimmer, Fuchsia the Mini-Which, which also provided his first chance to write for a full symphonic orchestra. Many film composers will attest that they didn’t fully “catch the bug” until they heard their music performed by an orchestra, and this was also the case for Matthijs. He was hooked. In late 2010, he made his first pilgrimage to Los Angeles to further his studies via a Film Music Orchestration course taught by renowned orchestrator Scott Smalley (known for his work with Basil Poledouris). Then things began to click into place. In 2011, Matthijs entered the Transatlantyk Film Music Competition, a creation of Academy Award winning Polish composer Jan A.P. Kaczmarek (Finding Neverland), achieving a 1st place award and the title of “Transatlantyk Young Composer for 2011”. With his Transatlantyk success fueling both confidence and recognition, Matthijs took on the score for the Dutch feature film, Loving Ibiza, on which he collaborated with internationally acclaimed DJ Armin van Buuren. They jointly received the “BUMA Soundtrack of the year Award,” and Ibiza was the top-selling Dutch movie of 2013. Returning to Poland, Matthijs triumphed with the prestigious “Young Talent Award” at the Krakow Film Music Festival. His winning cue was played live by the National Polish Orchestra at the closing Gala, in front of 5000 people and alongside Hollywood’s finest.